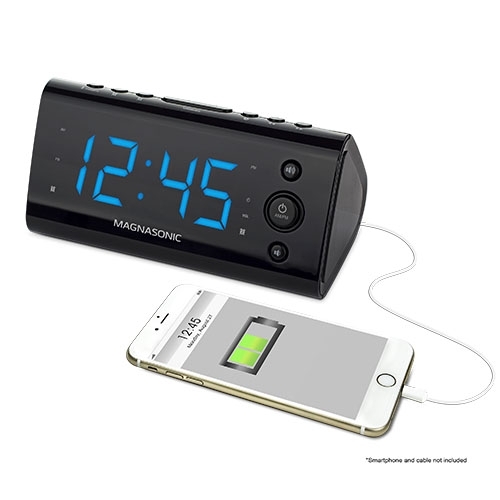 Charging your essential electronic devices with this USB Charging Alarm Clock is so easy that you can literally do it in your sleep. 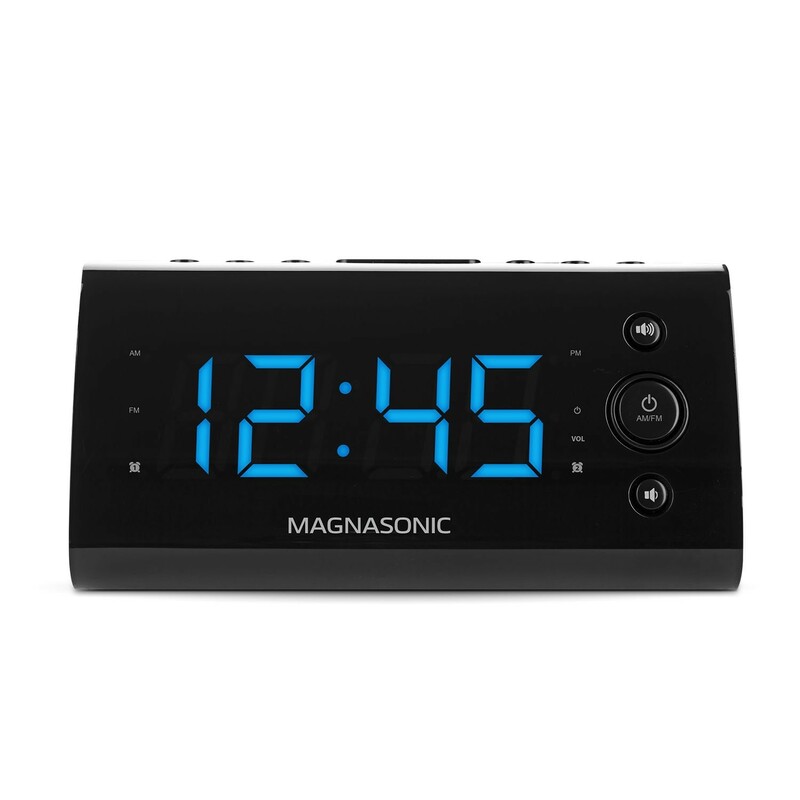 This and a collection of other innovative features, including automatic time set, long lasting battery backup, programmable dual alarm, and digital radio tuner, make this one reliable clock radio you can depend on. Whether you spend your day sending work emails to colleagues, texting your friends, or watching videos, devices like smartphones and tablets might be a big part of your life. Make sure your smartphone or tablet is charged by plugging into this alarm clock radio via a USB cable before going to bed. 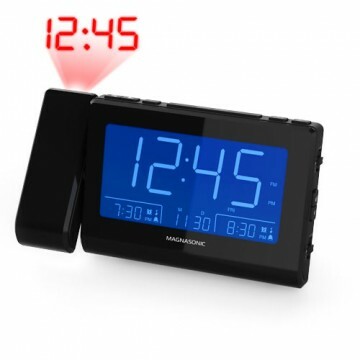 The compatibility of this alarm clock means that the days of searching for a wall charger or available outlet for your smartphone, tablet, smartwatch, or any other USB device are over. If one of your biggest fears is oversleeping because your power goes out, this clock is the solution. Never worry about missing a morning appointment or being late for work again. 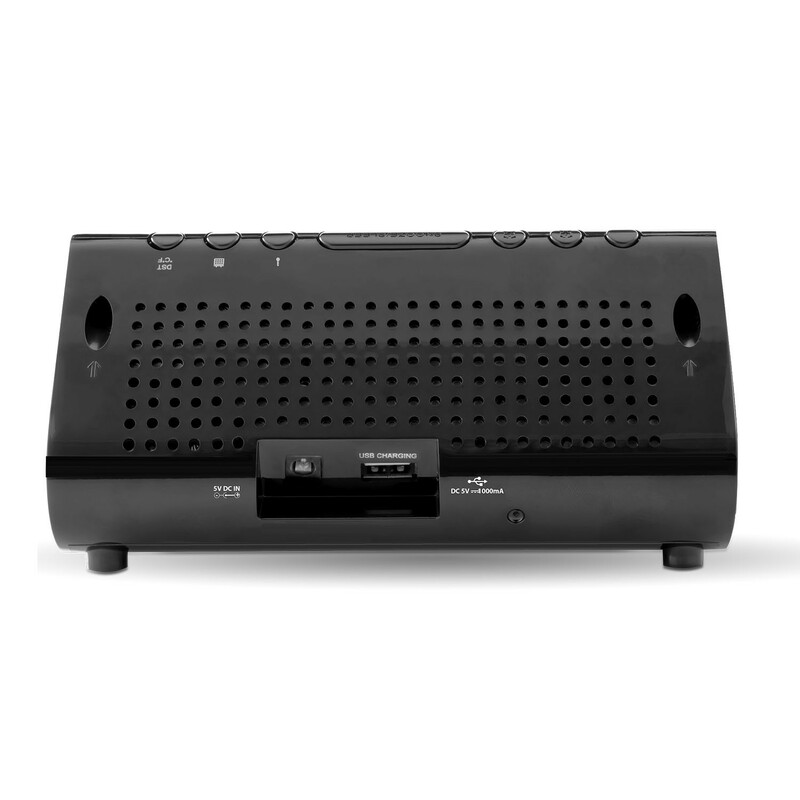 The built-in battery backup automatically activates when the power is cut off from your wall outlet. Your alarm will still sound according to your settings while the correct date & time is maintained. 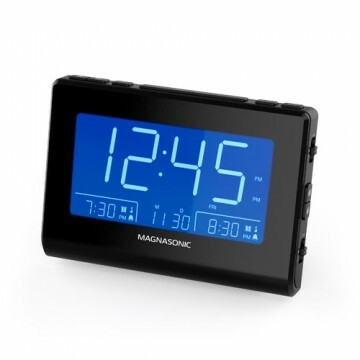 Rest assured knowing your alarm clock will have power even when the rest of your home does not. Ever catch yourself wondering if you’ll forget Daylight Savings Time (DST) again this year? When you first plug in your clock radio and specify your time zone, DST will be automatically updated every spring and fall. 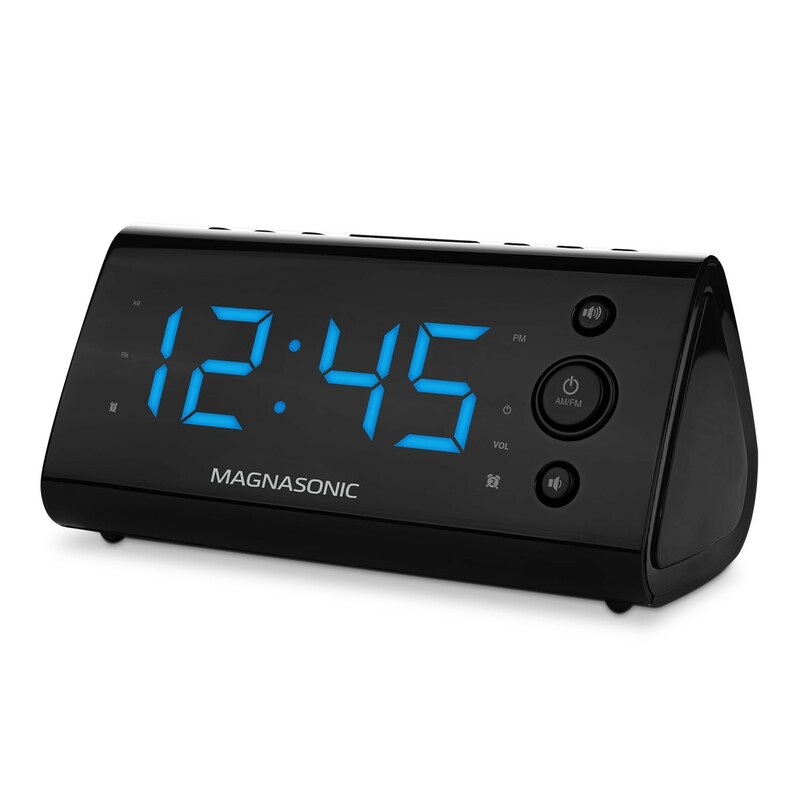 What would a radio alarm clock be without access to great music? This digital radio supports up to 20 programmable AM or FM stations, giving you access to your favorites tracks at the touch of a button. 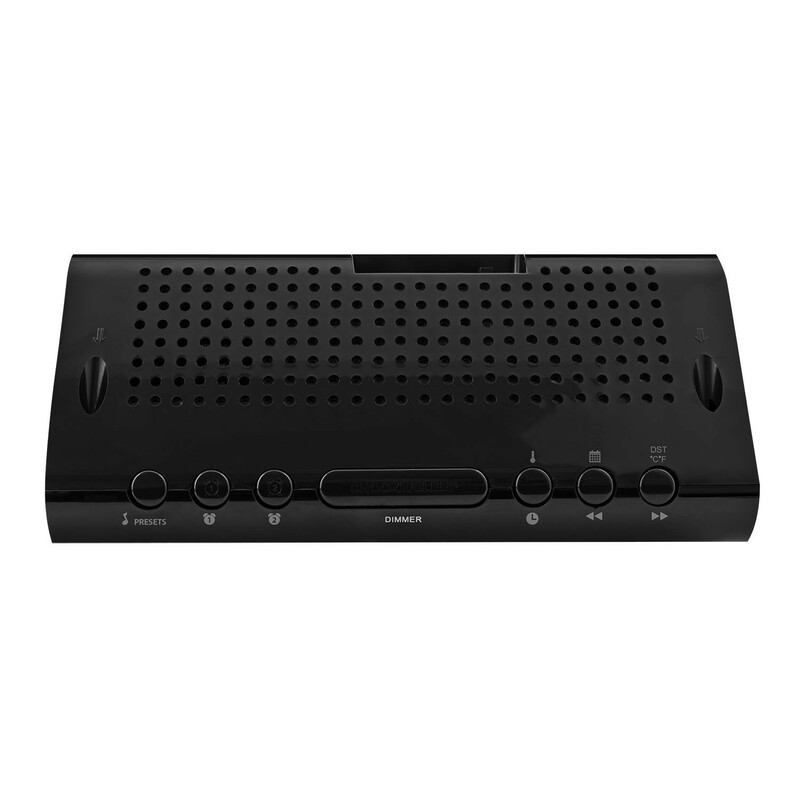 The digital tuner gives you the best possible reception and sound quality by locking in on the strongest point of your favorite AM/FM radio signals.